Success is not handed out. Students at UCBA must work the grind to achieve the success they desire. “Passing” can be achieved through minimal work and cramming, but excelling takes work and the knowledge of a few sources to help you along the way. Here are the Ten Commandments for UCBA success. Follow them at your own will, but know that they deliver the rewards of achieving the success one craves as a student. 1. Thou shalt attend thy class to achieve thine academic success. Students seated in a classroom. No, but really, attending class is crucial in finding success in the college world. When absent a student will miss not only information covered, but class discussion as well. Attendance means being present and aware of the teachings being covered, and asking questions when confusions occur. Classes and discussions supplement outside work. Do not rely on the book alone to get you through the course. 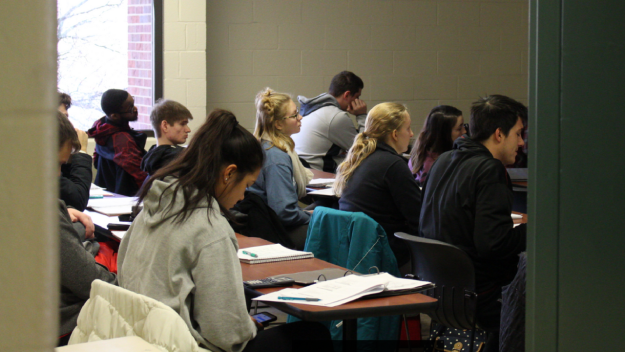 Professors often use questions and discussion to enhance critical thinking about the class material making exams and projects easier to comprehend. Paying attention in class can cut your study time later on. Instead of taking hours to reteach yourself what was covered, you can briefly review the information that you already know. Finally, taking your own notes with your own thoughts and words will be way more useful than anyone else’s copied notes. 2. Thou shalt read thy syllabus. A syllabus has important information. 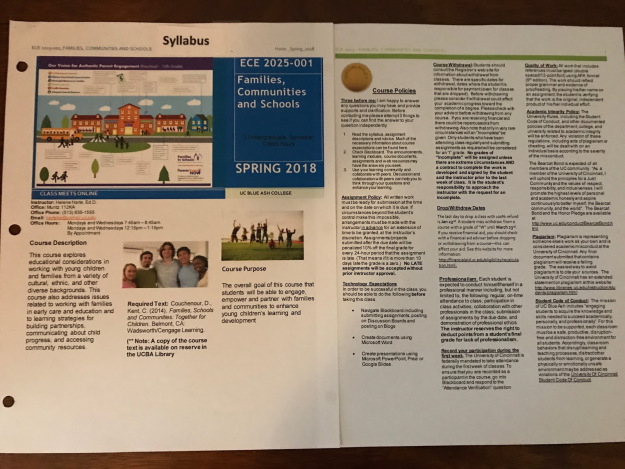 The syllabus is the go-to document for just about everything you need to know about a particular course. In addition to your professor’s contact information, it will also include due dates for assignments, as well as dates for quizzes and tests. 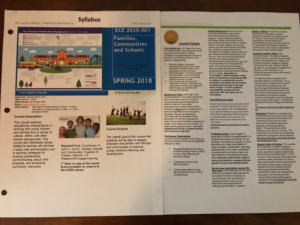 Reading the syllabus will give you insights into what your professor considers important, along with guidance on how issues such as late assignments, attendance, class cancellations, extra credit, and cell phone use will be handled. 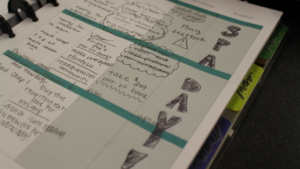 When it comes to learning the expectations for a course, the syllabus is your Bible. 3. Thou shalt keep in contact with thy professors. 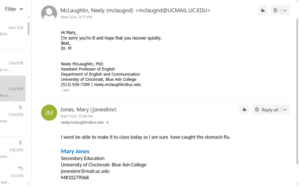 A photograph of an email exchange between a professor and a student. Keeping in close contact with professors is vital in classroom success. One can come to a professor with questions and confusions about what was covered in a lesson. Meetings outside and inside the classroom can keep a professor engaged and updated with your progress and work. 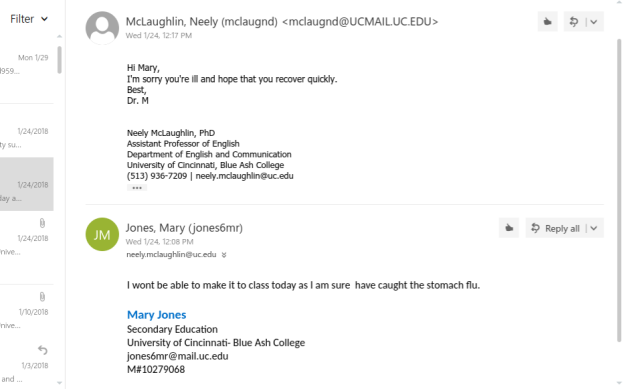 Informing professors of absences and late days can also keep professors on track with your work and informed when emergencies take place. Think of it like speed dial. Having a professor close in contact will mean emailing weekly and working in office hours to see them. They can advise and help students find a clear path to success, only making it easier to achieve that craved A! 4. Thou shalt network and communicate with classmates. Three students study on the UCBA campus. UCBA conveniently placed picnic tables, benches, and a lovely courtyard to create tons of places to meet fellow classmates in the same boat as you. Synergy is an extremely beneficial tool a UCBA student could have handy. Knowing and networking with students on campus can offer study groups and experienced tutors. Keeping in touch with classmates creates a social network that is unstoppable. People with the same questions and confusions as you create a viable source of information to work out the confusions you all have in a certain class. Having study groups and close classmates also keeps you responsible and holds you accountable for work. Unknowingly they fuel you and keep you on top of the work you are meant to do. After all, more minds work better than one. 5. 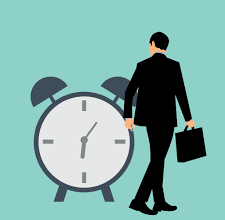 Thou shalt useth thy time management skills to stay on top of work. 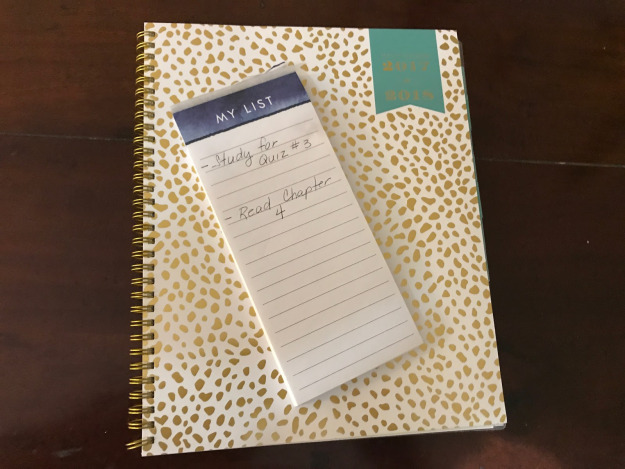 Notebooks and lists are essential. Students at UCBA are busy people. In addition to coursework, they often hold down part-time or even full-time jobs. Time management is the key to staying on top of it all. Keep a calendar where you record all important dates, including assignment due dates, quizzes, and tests. Break down large projects into smaller, more manageable pieces. Make daily to-do lists of everything that needs to be done right away, and then get after it, checking each item off as you complete the tasks. 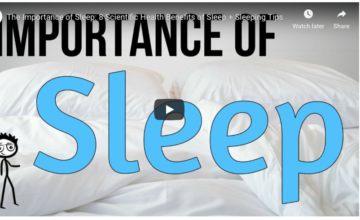 You must also resist the many time-wasting temptations like surfing the web and spending too much time on social media. Stay organized and focused and you will ultimately be successful. 6. Honor thy library for it is an honorable library. The UCBA Library is a great resource. 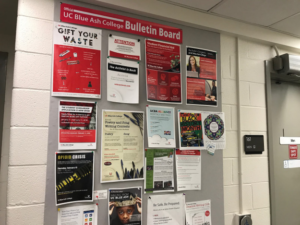 What if I told you there was an answer to all the problems you may encounter as a UCBA student? A place where you can find that $300 textbook you need for Calculus. A place where you can have your own private VIP room to focus and study? Well my fellow classmates, this place is closer than you think. 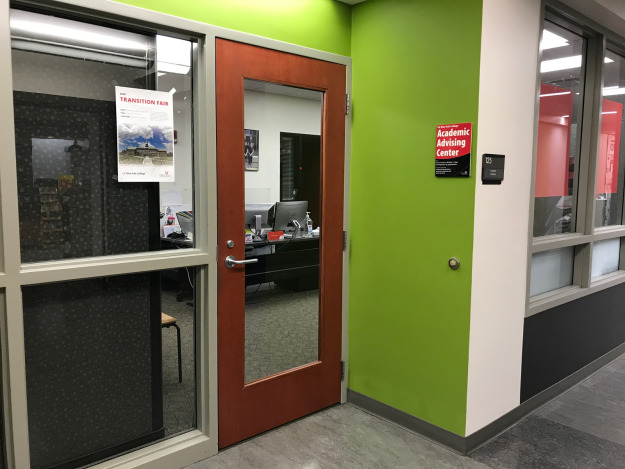 Right smack dab in the middle of the hustle and bustle of Muntz’s first floor is the UCBA library. 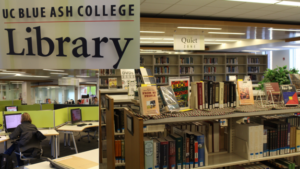 This is where you can go to study on your own or in groups. It is where you can rent expensive textbooks and get your homework done for free. This is where you can come to type and print any assignments you have. 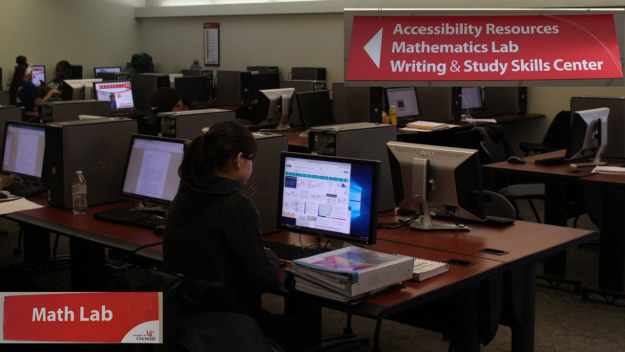 The library is a free and incredibly beneficial resource offered to all UCBA students. 7. Remember thy resources and keep them near. Something we all can agree upon is, that tuition ain’t cheap. So why not get the most bang for your buck and utilize the student resources and academic help that is offered IN your tuition? There is the Writing and Study Kills Center to help revise and finalize all essays and reports you may have as well as help getting your studying hours on track. If you’re struggling in algebra, why not check out the Math Lab? Using these resources acts as a provided tutor. Academic success is a choice, and here are all the resources and tools you will need to reach it. All you have to do is schedule your appointment. 8. Thou shalt schedule regular visits with thine Academic Advisor. You will want to meet with your academic adviser early and often throughout your college career. These people are pros. They are trained specifically to help you stay on track toward completing the courses you need to reach your academic goals in an efficient manner. Working with them will ultimately save you time and money. 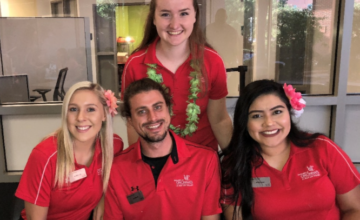 Your academic adviser is an expert on UC policies and procedures for all kinds of issues including class withdrawal, graduation requirements, and just about any other questions that might come up throughout your college career. Academic advisers can also help students out during tough situations. If something unexpected comes up, and you find it is affecting you academically, meet with your advisor ASAP. They just might be able to guide you through those troubled times in a way that keeps you on track. You might discover that your academic adviser is also your guardian angel! 9. Thou shalt involve thyself on campus. 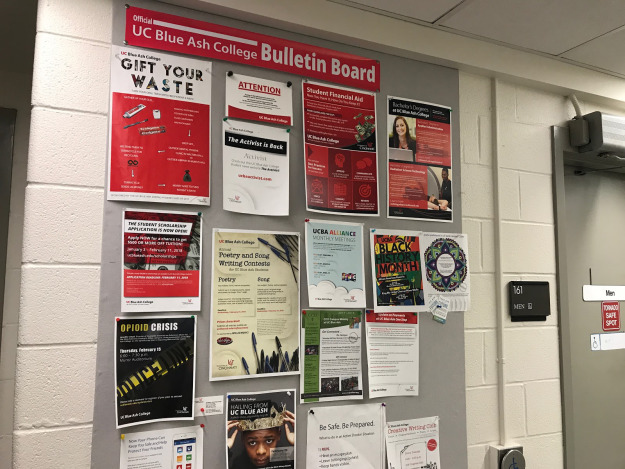 There are lots of ways to get involved at UCBA. College is about a lot more than just studying and getting good grades. You need to add in a little bit of extra activity to spice it up. There are many clubs to join and events to take part in here at UCBA. Joining a club that is related to your major area of study is always a good idea. It looks good on a resume, and it gives you a chance to meet fellow students who share common interests and career goals. You can end up learning a lot about what actually goes on in this world by stepping outside of a classroom. Check bulletin boards around campus for upcoming events and guest speakers that sound interesting to you. If you have a passion for a cause that is not being addressed, you could even plan an event or start an organization of your own. 10. Thou shalt taketh time for thyself. Taking care of yourself is important too. First Generation College Students: How Does UCBA Stack Up?